A good friend is getting married today, and this will be the fourth wedding I’ve taken Ebony too. The other three weddings were held when Ebony was small, and by the final one, I felt I had learnt some valuable lessons about how to survive weddings with a baby. Now, of course, Ebony is a toddler and, as any parent of a toddler will tell you, toddlers are much harder work. For a start they can talk (loudly, about poo and periods), they can run really fast (in the opposite direction) and sometimes, they turn into crazed maniacs when things don’t go their way. So, it’s safe to say I am feeling a little apprehensive of what might happen tomorrow. 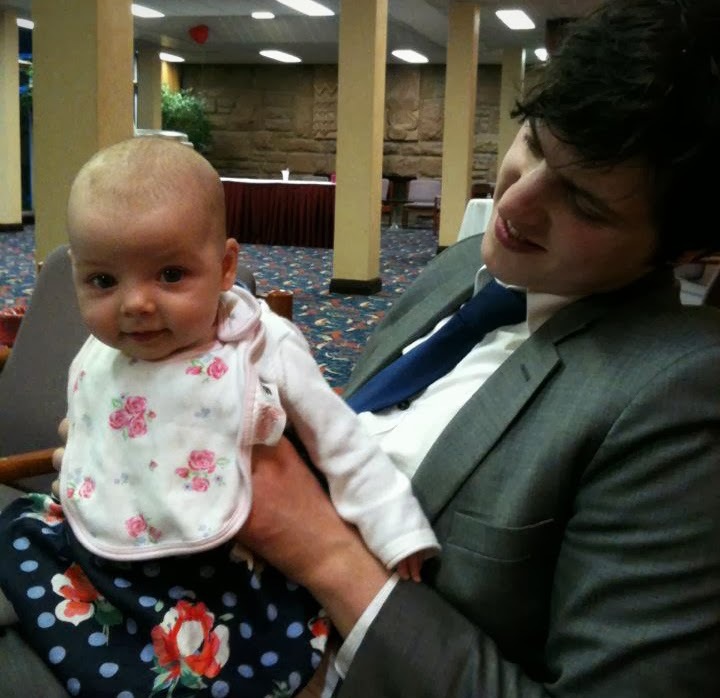 Take a sling - we took a pram to two weddings, thinking it would be less hassle than the sling. We were so wrong. Prams are the height of hassle. We ended up leaving it in the car at the first wedding, and at the second it was too cumbersome to get near the dancefloor. I also think it must have been a bit terrifying for my tiny baby, being stuck out of arm’s reach in a pram during noisy times. By the third wedding, we just took the sling and it made things much easier. It meant she stayed close to me while she napped, and felt involved in what was going on. A sling is without doubt the way to go for weddings. Breastfeed in church - I mean, you don’t have to, but you probably will, because Church makes babies hungry (this is not a scientific fact, it’s just anecdotal). There’s a lot of waiting around at weddings, and by the time the bride walks in, your baby will be hungry, so just resign yourself to the fact that you will have to breastfeed in church. And hey, don’t worry, the Pope thinks it’s awesome when mothers breastfeed in church, so no need to feel nervous. Your baby’s hunger isn’t going to disappear, and the longer you leave it, the more frustrated she’ll be, and the harder it will be to get her to latch on. Believe me, I know this. Take ear protectors - we have some ear protectors for our daughter. They don’t block the noise completely, but muffle it, so she was still able to hear things but without bursting her ear drums. 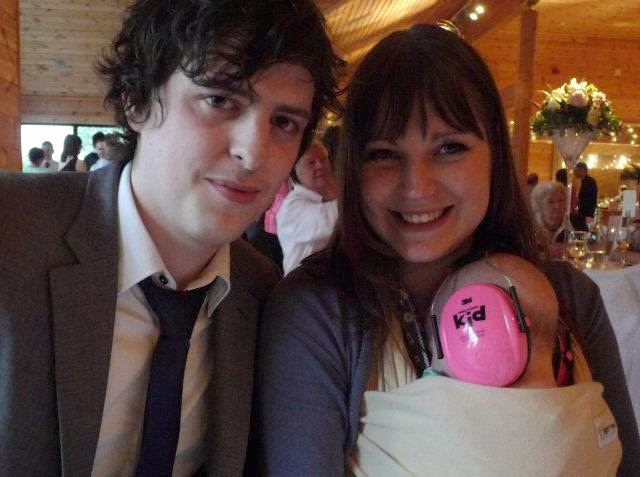 The music at weddings can be pretty noisy, and babies can get overstimulated, so these are a must-have. Your only problem might be convincing your baby to wear them, but luckily our daughter seemed quite happy in hers. They were great for when she was napping in the sling too. Have a plan - the meal will be long, so have a plan of how you are going to entertain your baby. If it coincides with naptime, you win. If not, you’ll need to sit the baby next to your most entertaining dinner companion, and pull out a whole host of toys. If your baby is over six months, make sure you have appropriate finger foods for her to nibble on while you all eat. Seek out quiet time - avoid letting your baby get overstimulated by going somewhere quiet for some alone time. This could be a lengthy nappy change in the disabled toilet, a walk around the grounds, or some one-on-one time in a quiet room. This will allow your baby to avoid overstimulation, and will help her feel connected to you despite the hustle and bustle of the wedding. Take turns with your partner to have quiet time with the baby, that way you’ll both still get to enjoy the wedding too. Maybe by this evening I’ll have some tips on how to attend weddings with toddlers, or perhaps how not to. Ahem. Oh, and the last tip is, don’t get too drunk. Parental hangovers are, like, two million times worse than normal hangovers. For each unit, you gain a whole extra day of hangover. I think that’s the equation, anyway. Do you have any tips for attending weddings with a baby?